Hello & welcome to ASP Global, an Australian based company that specialises in the provision of international air and sea logistics, brokerage, transportation and freight management services underpinned by decades of experience. We utilise our global footprint in over 750 cities and ports around the globe via our World Cargo Alliance partnership to provide our clients tailored & relevant services designed to support their operational and commercial objectives specific to a client’s unique circumstances pertinent to their industry. We discuss, design and deliver. We ask: how can we create value, optimise processes and raise performance and productivity of your logistics. Your KPI’s become our priority. ASP Global commenced operations in 1996. Our philosophy is to serve our clients in the best way there is and to never stop learning and improving to providing efficiencies wherever possible in the supply chain. Treating our clients respectfully, professionally and in a principled way is the foundation upon which we build successful business relationships. There is no substitute for that. We bring an uncompromising commitment to have our clients’ best interest at heart at all times. We see ourselves as an extension of our clients business in the provision of international import export services that are relevant to our customer’s requirements. We are about delivering what matters and partnering for success. It is not just freight; it is your business and reputation and we will never lose sight of that. We are a team of industry professionals with decades of experience in international trade focussed on providing exemplary service and cost effective solutions. One of our guiding principles is to “begin with the end in mind” to align with our clients requirements and to improve the performance of our clients business wherever possible by leveraging innovative solutions. Ultimately, we aspire to be a trusted advisor to our clients in all their international trade requirements be it local or global for any size shipment. We will discuss your situation, design a solution that fits your requirements and deliver on the agreed targets. We have known and worked with Jack Haddad for over 2 years now. Jack and his team have assisted CoolsanTM to establish a greater and more in depth understanding into managing our supply chain and working with overseas vendors. Jack has always been honest, reliable and knowledgeable in the advice and service that he offers. We would definitely recommend Jack Haddad to any organisation requiring supply chain and logistics solutions with integrity. Having travelled the world with Jack, meeting leaders of countries and people who get the basics done, what continues to amaze me is his ability to connect with the human and deliver the promise. Knowledge, empathy, influence and professionalism. If its solutions you need call Jack Haddad. What amount is Duty & GST Calculated on? I’m planning to import a used Motor Vehicle, what do I need to know? You will find information on vehicle schemes on this website as limited makes/models of vehicles are eligible to be imported. Vehicles should not be shipped until such time that an Import Approval has been granted. All imported vehicles with Air-Conditioning Gas present must be imported under Pre-charge Equipment License or otherwise removed prior to export. On importation all vehicles are inspected at Terminal after discharges by AQIS (Quarantine). Cars are then moved to a steam cleaning facility for cleaning and once released will be transported to a nominated compliance facility. Can you send excess baggage? ASP Global can handle all your excess baggage requirements from luggage and skis to golf clubs and bicycles. Some airlines are now charging $60 per kilo for excess baggage, with ASP Global you will benefit with savings of up to 60%. Contact ASP prior to departure and we can pick up and arrange for your excess baggage to be sent anywhere in the world. In order to arrange this we require your Passport, a utilities bill (to confirm address) and packing list. What sizes do shipping containers come in? 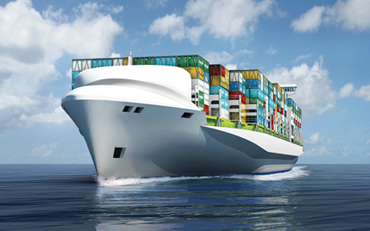 Shipping Containers are generally 20’ or 40’ in length and as a standard 8’ 6” in height & 8’ in width. There are many different types of containers High Cube, Open Tops, Flat Racks etc which goods can be packed in/on and shipped on containerized vessels. Goods which exceed standard container dimensions are termed Out of Gauge (OOG), rates for OOG Cargo will be determined by the amount the cargo exceeds standard dimensions and must be quoted on case by case scenario Please contactASP Global for a quote on any standard or OOG Cargo whether sea or Air & please check our resources page forContainer Specifications. Do you handle Personal Effects? Yes, we do handle personal effects and all charges must be paid in advance of goods leaving the depot.Please find a copy of Unaccompanied Personal Effects Statement on our Documents Page, this form must be completed and forwarded to ASP Global with a copy of your Passport, the Packing List and Bill of Lading. All goods under 12 months old are subject to Duty/GST, tobacco, alcohol & motor vehicles are also subject to Duty/GST on arrival. How do we arrange booking of our cargo? Please download a copy of the Booking/Forwarding Instruction from our Documents Page, then complete the form with Name, Address and Contact details of Shipper and Consignee and forward to us by Fax (03) 9330 1355 or email.